Received 26th May 2010, Accepted 29th June 2010 DOI: 10.1039/c0sm00432d We present a physically-based model for the deformation of a floating elastic membrane caused by the presence of a liquid drop. Starting from the equations of membrane theory modified to account for surface energies, we show that the presence of a liquid drop causes an azimuthal compression over a finite region. This explains the origin of the wrinkling of such membranes observed recently (Huang et al., Science, 2007, 317, 650) and suggests a single parameter that determines the extent of the wrinkled region. While experimental data supports the importance of this single parameter, our theory underpredicts the extent of the wrinkled region observed experimentally. We suggest that this discrepancy is likely to be due to the wrinkling observed here being far from the threshold. a ITG, Department of Applied Mathematics and Theoretical Physics, University of Cambridge, Wilberforce Road, Cambridge, CB3 0WA, UK b Laboratoire de Physique Statistique, Ecole Normale Sup erieure, UPMC Paris 06, Universit e Paris Diderot, CNRS, 24 rue Lhomond, 75005 Paris, France c Departamento de Fısica, Universidad de Santiago, Av. Ecuador 3493, Santiago, Chile † This paper is part of a Soft Matter themed issue on The Physics of Buckling. Guest editor: Alfred Crosby. Fig. 2 A schematic showing a cross-section through an axisymmetric liquid drop sitting on an elastic membrane, which is itself floating on a bath of the same liquid (though the surface energy of the bath g0 lv s glv in general due to the presence of surfactants). The radius of the circular contact line is R, while the curvature of the drop is sinq0/R where q0 is the inclination of the interface to the horizontal at the contact line. Fig. 1 Wrinkling of thin PS membranes floating on a liquid bath caused by liquid drops (taken from Huang et al.12). Two different membrane thicknesses (given in each figure) are shown here demonstrating that Lw depends on the thickness of the membrane, h. This paper is concerned with understanding the dependence of Lw on the system parameters. qualitatively similar, the details of the wrinkling pattern that forms depends on the details of the loading. This has been seen using thin floating membranes that are loaded using a ‘point-like’ load.18 From these experiments it was found that a point-like load induces wrinkles throughout the domain. This is different from the case studied here (where wrinkling is localized) because of the different boundary conditions applied by the loading: a fixed tension at some radius in our case versus a fixed vertical displacement at r ¼ 0 studied by Holmes and Crosby.18 The experimental system of Huang et al.12 with loading caused by a liquid drop is perhaps closest to the theoretician’s ideal because a known tension is applied at some radius. When large external stretching forces are applied to a thin plate, it is possible to neglect the first term of Eqn (4), which represents bending, in comparison with the second term, which represents stretching. Since radial derivatives are of the order of the size of the water drop R and the stress in the membrane cannot be smaller than the surface tension glv at the outer boundary, we may compare the relative sizes of the bending and stretching terms by calculating the value of the dimensionless parameter B/(glvR2). For parameter values typical of the experiments of Huang et al.,12 this ratio is of the order 106. In what follows, we therefore assume that stretching dominates bending and neglect the first term of Eqn (4). Before writing this ‘membrane equation’20 we note that the presence of a pre-stress, g(r), causes a vertical loading proportional to the curvature V2w, much as a liquid’s surface tension causes a capillary pressure. We therefore have   1 d dw j ¼ pðrÞ  gðrÞV2 w (6) r dr dr where p(r) is the loading of the membrane caused by the pressure within the liquid. Eqn (5) and (6) can be applied to the two regions r > R and r < R separately, before determining the stress throughout the membrane by matching the two solutions together at the contact line r ¼ R. The two regions differ because the appropriate surface energy in each region differs: within the drop (r < R) there are two solid–liquid interfaces, while outside the drop (r > R) there is one solid–vapour interface and one solid–liquid interface. This difference is accounted for by the choice of g(r) given in Eqn (2). To find a second boundary condition and hence make progress, we must consider how the solutions for r < R and r > R match up at the contact line, r ¼ R.
Here Eqn (16) is the missing boundary condition allowing us to solve Eqn (9) for f(h). This solution may then be used to determine C (and hence the stress field outside the drop) by using Eqn (15). Fig. 3 The effective stress profiles within the membrane for a ¼ 104, qe ¼ p/2. Note that the radial stress Srr (-- . -) is positive everywhere while the azimuthal stress Sqq (— —) is negative for some values of r. The region outside the drop for which Sqq < 0 is highlighted by the two vertical dashed lines; the length of the wrinkles Lw is the extent of this region. In the model developed here, Sqq and Srr depend on gsl and gsv only through the equilibrium contact angle, qe. Fig. 4 Experimental results for the measured wrinkle length in experiments with surfactant22 () and without surfactant12 (,) as a function of the parameter a, defined in Eqn (10). The dashed line gives the empirical relationship (Eqn (1)), which was obtained previously12 by fitting experimental data obtained in the absence of surfactant g0 lv ¼ glv. The results of the model presented here is shown by the solid curve. the membrane thickness was varied12 may be compared to recent experiments, reported in this themed issue,22 in which various amounts of surfactant were used to lower the surface tension of the liquid bath but the membrane thickness held constant. This comparison is shown in Fig. 4 along with the empirical fit Eqn (1) proposed previously12 and the theoretical prediction based on Eqn (17). We also note that the two solid surface energies, gsv and gsl, do not enter into the problem except via the combination gsv  gsl, which may be eliminated in favour of glv cosqe. We expect that the values of gsv and gsl will not be altered by the addition of surfactant (because the surfactant will adsorb preferentially to the liquid–vapour interface) and so the equilibrium contact angle remains qe ¼ p/2. We draw two conclusions from the comparison between experimental and theoretical results presented in Fig. 4. Firstly, experiments with surfactant and experiments without surfactant appear to collapse onto a single master curve parametrized by a. This lends support to the model developed here because the parameter a is a result of the theoretical analysis. Secondly, we see that the order of magnitude of the predicted Lw is in agreement with that observed experimentally, even though this prediction is consistently below the experimental value. We shall discuss the likely reasons for this discrepancy in the next section. unwrinkled part of the membrane. This should be expected to increase the length of the wrinkles and so the calculation presented here only gives a lower bound for the length of the wrinkles. This is in agreement with what is found from the comparison of experiment and theory. We shall study elsewhere how the presence of wrinkles modifies the calculation. This article replaces the version published on 27 August 2010, which contained errors in Section III.1. srr /Tsh g0 lv  (gsl + gsv). Acknowledgements We are grateful to T. Russell, N. Menon and J. Huang for permission to use their experimental data (presented elsewhere in this issue22) in Fig. 4. We are also grateful to B. Davidovitch for many discussions. D.V. is supported by an Oppenheimer Early Career Fellowship. E.C. and M.A.B. acknowledge the support of CNRS-Conicyt 2008. E.C. thanks Fondecyt project 1095112 and Anillo Act 95. References 1 T. Young, Philos. Trans. R. Soc. London, 1805, 95, 65. 2 L. Mahadevan, M. Adda-Bedia and Y. Pomeau, J. Fluid Mech., 2002, 451, 411. 3 G. R. Lester, J. Colloid Sci., 1961, 16, 315. 4 M. A. Fortes, J. Colloid Interface Sci., 1984, 100, 17. 5 M. E. R. Shanahan, J. Adhes., 1985, 18, 247. 6 C. H. Mastrangelo and H. Hsu, J. Microelectromech. Syst., 1993, 2, 33. 7 C. H. Mastrangelo and H. Hsu, J. Microelectromech. Syst., 1993, 2, 44. 8 J. Bico, B. Roman, L. Moulin and A. Boudaoud, Nature, 2004, 432, 690. 9 H.-M. Kwon, H.-Y. Kim, J. Puell and L. Mahadevan, J. Appl. Phys., 2008, 103, 093519. 10 A. E. Cohen and L. Mahadevan, Proc. Natl. Acad. Sci. U. S. A., 2003, 100, 12141. 11 E. Hamm, P. M. Reis, M. L. Blanc, B. Roman and E. Cerda, Nat. Mater., 2008, 7, 386. 12 J. Huang, M. Juszkiewicz, W. H. de Jeu, E. Cerda, T. Emrick, N. Menon and T. P. Russell, Science, 2007, 317, 650. 13 E. Cerda, K. Ravi-Chandar and L. Mahadevan, Nature, 2002, 419, 579. 14 E. Cerda and L. Mahadevan, Phys. Rev. Lett., 2003, 90, 074302. 15 R. Vermorel, N. Vandenberghe and E. Villermaux, Proc. R. Soc. London, Ser. A, 2009, 465, 823. 16 E. Cerda, J. Biomech., 2005, 38, 1598. 17 J. Chopin, D. Vella and A. Boudaoud, Proc. R. Soc. London, Ser. A, 2008, 464, 2887. 18 D. P. Holmes and A. J. Crosby, Phys. Rev. Lett., 2010, 105, 038303. 19 J.-C. Geminard, R. Bernal and F. Melo, Eur. Phys. J. E, 2004, 15, 117. 20 E. H. Mansfield, The Bending and Stretching of Plates, Cambridge University Press, Cambridge, UK, 1989. 21 S. P. Timoshenko and J. N. Goodier, Theory of Elasticity, McGraw Hill, 1970. 22 J. Huang, N. Menon and T. P. Russell, Soft Matter, 2010, submitted. 23 A. E. Lobkovsky and T. A. Witten, Phys. Rev. E: Stat. Phys., Plasmas, Fluids, Relat. Interdiscip. Top., 1997, 55, 1577. 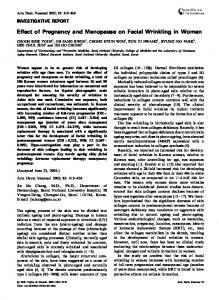 Report "Capillary wrinkling of elastic membranes"